It’s that time of year again, when a huge selection of broadcasters, tech companies and A/V solutions providers flock to Las Vegas for NAB, the National Association of Broadcasters conference! 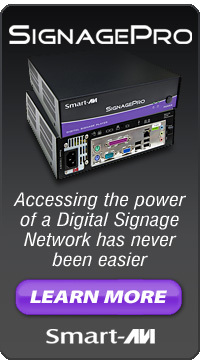 As usual, SmartAVI will be at NAB with our newest products and technological developments. 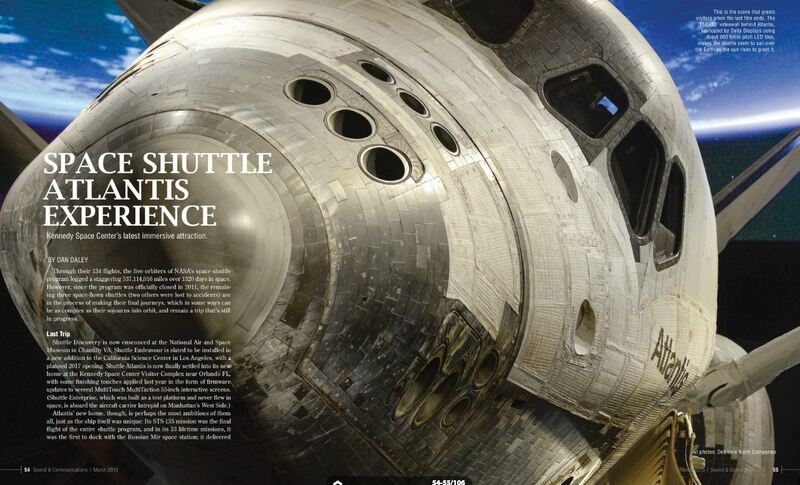 Our helpful sales and tech team members will be there to answer any questions you may have. You can find us at booth SU13213, located in the upper south hall of the Las Vegas Convention center. The fun starts Monday, April 13th. Click here for all the details. See you in Vegas! Categories: NAB, Technology | Tags: NAB, NAB2015, technology | Permalink. 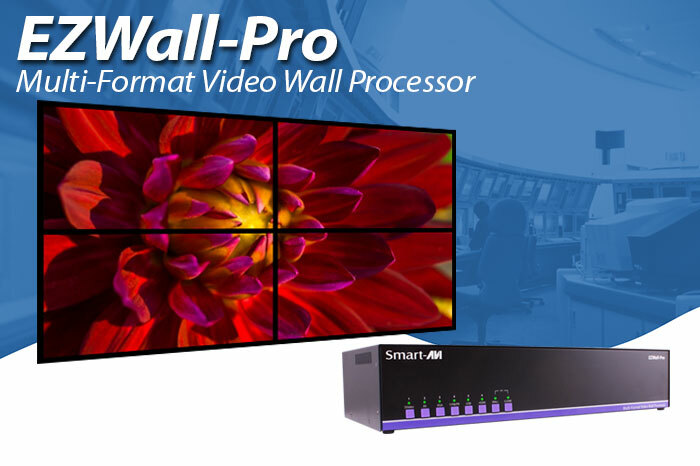 Introducing the EZWall-Pro from SmartAVI – a highly flexible, multi-format video wall processor with a variety of supported inputs and unique display configurations. This user-friendly video wall controller supports inputs like HDMI, VGA, S-Video, Composite and Y/Pb/Pr, along with a built-in USB media player. 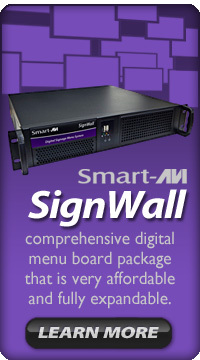 With four single-link DVI outputs, the EZWall-Pro displays any input source at its highest resolution. The control functions on the EZWall-Pro provide users with the flexibility to get the most out of their content and their screens. While many users will employ this unit for its “Wall Mode” (one image stretched across the four screens), others will find the alternate layout options to be a better fit for their needs. Users can manage these options in real time with the device’s intuitive On Screen Display (OSD) and front panel switches. Controlling the unit remotely via Ethernet, RS-232 and IR is supported, as well. 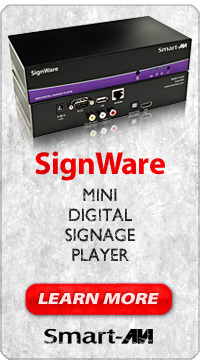 Categories: digital signage, digital signage hardware, dvi-d, hdmi, presentation switcher, Technology, usb 2.0, video, video wall, video wall hardware | Tags: digital signage, digital signage hardware, dvi-d, hdmi, technology, usb 2.0, video wall, video wall hardware | Permalink.